Every now and again an author blows me away. It doesn't happen often, but I can distinctly remember instances in the past when it has. Joe Abercrombie's The Blade Itself, GRRM's A Game of Thrones and Kameron Hurley's The Mirror Empire all feature in prominently in my memory. And now I can add DK Mok's Hunt for Valamon to that list. Recommended to me by author Mitchell Hogan (whose work is also amazing), I approached Hunt for Valamon with much excitement and some trepidation. Would I love it? Did Mitchell steer me up the wrong tree in his recommendation? Would I have to write a poor review for a book that failed to meet my expectations? Well, I am glad to report that I did love it, and that I now believe Mok is going to be one of the next big things in Australian speculative fiction. Hunt for Valamon tells the tale of Valamon, the Crown Prince of the Talgaran Empire. Considered by many to be a simpleton, he is deemed unfit to rule despite being the oldest son of King Delmar. When he is suddenly kidnapped by unknown forces the realm puts together a rescue effort made up of Elhan, a woman whose fighting skills are unparalleled, and Seris, a priest whose healing art is hindered by the rules imposed on him by his religious order. These two champions must work together and reconcile their differences if they are to rescue the Crown Prince, and in doing so prevent a bloody and violent war from breaking out. 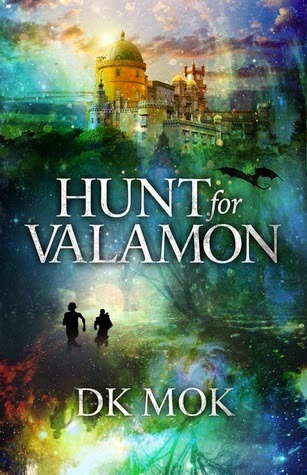 Hunt for Valamon is an original, fast paced and fascinating tale that kept me riveted from start to finish. One of the first things I noticed when reading Hunt for Valamon was just how tight and enthralling the plot was. Mok brilliantly uses different points of view to add meat to the bone, and I loved how my perception of characters was turned on its head as the story unfolded. The idea of a quest fantasy is not new, but Mok uses it in such a way that it felt both fresh and yet wonderfully familiar. In fact, the more I read the more I became convinced that I was reading something very special. The story just got better and better, and at no stage did I feel any lull. Mok's characterisation is also top notch, and her ability to grab me emotionally and keep me glued to the tale reminded me of when I first read Robin Hobb many years ago. I fell in love with Elhan and Seris, and their changing relationship was one of the highlights of this book. I also adored the evolution and mystery that surrounded Valamon, and his point of view chapters raised many questions about him and how people perceived him. I also was amazed at how Mok was able to make me feel many different emotions at different stages throughout the story. This is actually harder then it sounds, and most writers cannot pull it off. Mok kept me so emotionally involved in the story via her characters that at times I literally felt like I was there participating in the events being played out on the pages before me. Even her minor characters were fascinating and had an impact on both the story and me as the reader. Hunt for Valamon also incorporates cracking action that is both well described and choreographed. I loved the fight scenes, and I thought they added a real layer of excitement to the story. The world building is solid and familiar (medieval fantasy setting) with a tinge of modernism via Mok's use of language and humour. I personally loved this, but some readers may prefer more traditional language. The conclusion to Hunt for Valamon was also very satisfying and surprising, and readers will be left happy yet yearning for more. If I had one small criticism it would be that I wanted a map to reference all of the destinations that were described in the book. I am a map geek, and I feel this would have added another amazing layer to an already stunning book. 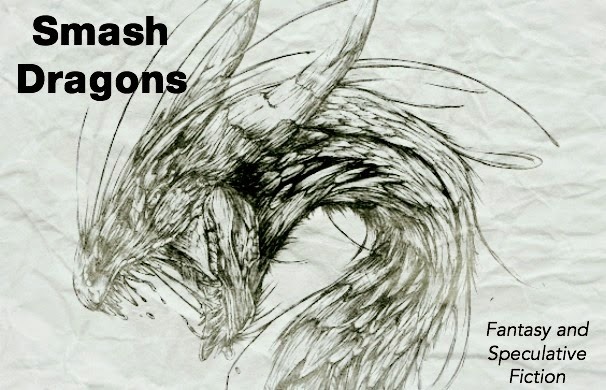 All in all Mok has stormed onto speculative fiction scene with Hunt for Valamon. It is hard to believe that this is just her second book (her first being The Other Tree). Hunt for Valamon is an amazing, refreshing yet familiar fantasy quest that left me floored and wanting more. I am now a converted Mokian (yeah that's right, all of you Whovians, Trekkers, etc... Mokians are a rising force!) who cannot wait for her next release. I highly recommend Hunt for Valamon for anyone even remotely interested in speculative fiction. It is truly something special.